In 2008, I teamed up with Jason and Stephen – all of us grad students at the time - to buy a lovely old house in Friendship, a neighborhood of Pittsburgh. The neat thing about living in a historic city is that every house has a story. 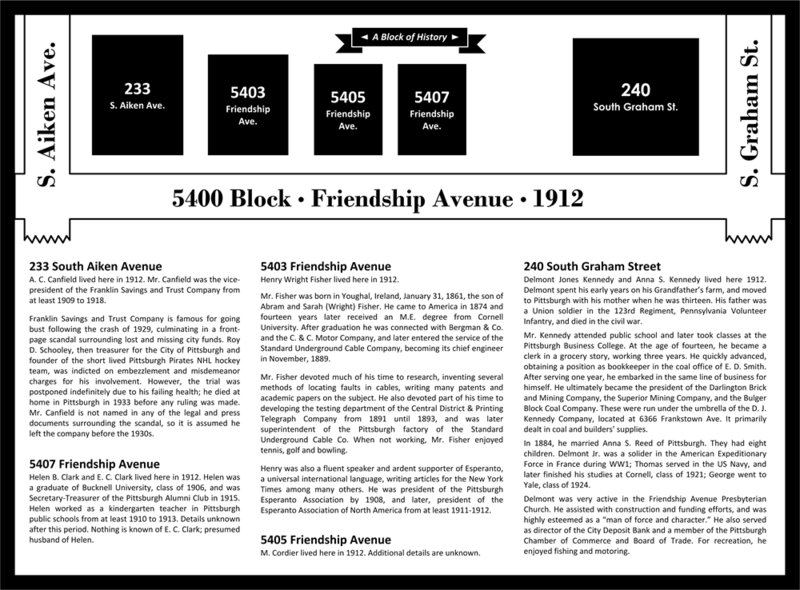 In 2012, I set out to research our block and the five houses situated on its north side. My aim was to figure out who lived in each 100 years ago (in 1912) and what their story was. Amazingly, I was able to identify occupants for all of the houses and compile several bios. 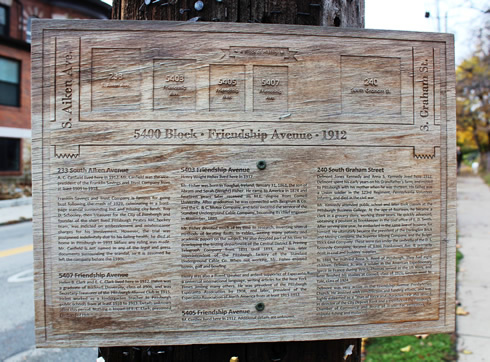 I wrapped up the project as laser-cut plaques, which adorn the street to this day and are frequently read by pedestrians. I recently bought a new house on Penn Ave and plan to do a similar project there.